Kids are always looking for something interesting to do once school is out, and there’s no better family destination to have some summertime fun in than the Gold Coast. Check out some of these awesome attractions and activities that you and your family can try out when you visit. A trip to the Gold Coast isn’t complete without doing some water activities, and one of the most popular things to try out in the area is surfing. Get Wet Surf School offers beginner friendly lessons that will let your kids ride waves in a fun and safe environment. Looking for something more thrilling? 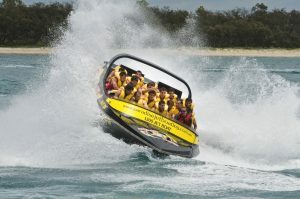 Then take the family on the ride of a lifetime with Paradise Jetboating. This adrenaline-packed ride filled with 360 degree spins and crazy twists and turns will have your kids raving about it for a lifetime! If you want a change of pace from all the action, you can choose to explore the underwater beauty of Wave Break Island with Queensland Snorkel & Scuba Dive. See and feed different species of fish with your kids and let them have a firsthand experience of the amazing marine life that you can only see in this destination. 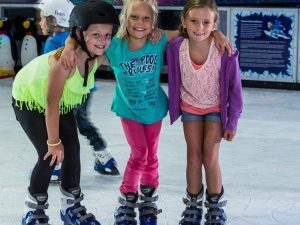 Aside from the beautiful beaches, the Gold Coast also has a number of indoor attractions that your family can drop in for a visit when they want to take a break from the sun. One way of cooling off is through showing off those skating skills at the Planet Chill Ice Skating Rink in Surfers Paradise. 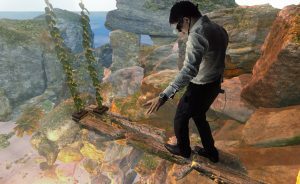 You can also take the kids for some virtual sightseeing at Holoverse Gold Coast. Known as the world’s first hologram entertainment centre, kids can explore 40 rooms that will transport them to an interactive adventure. Are your kids in the mood for some friendly competition? Head over to King Tutts Putt Putt for a game (or two) of mini golf. 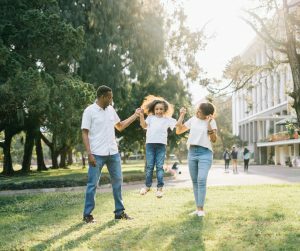 The themed golf courses such as the Ancient Egypt and African Jungle zones also make it a great place to take some cool and funny family photos to remember your summer trip. These attractions are just some of the kid-friendly Gold Coast attractions that you and your family can visit for the school holidays. See more of this amazing destination and save while you’re at it with our Gold Coast flexi attractions pass.